Savannah Resources Plc (LON:SAV) Chief Executive Officer David Archer caught up with DirectorsTalk for an exclusive interview to discuss the cash placing and subscription for £11.5 million and what these funds will be used for. Q1: David, we’ve just seen the news regarding the cash placing the and subscription for £11.5 million, can you just talk us through the highlights? A1: Yes, a cash placing of £11.5 million plus a Letter of Intent for £1 million from our major shareholder, the Al Marjan Group, so, it’s a very solid endorsement both by existing shareholders and I’m also pleased to report that the investor group also included tier 1 UK investments institutions. So, from an overall sense, we’ve achieved one of our major objectives in institutionalising our register. I think this sort of marks a very important milestone in the development of Savannah Resources because it’s always been a well enunciated objective that we wish to go into a mid-tier British resources group. 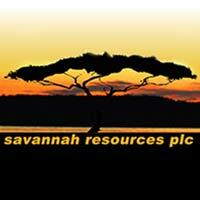 Q2: What will Savannah Resources use the funds for? A2: Well, we’re fast-tracking our Portuguese Mino de Barroso project towards production and we’re targeting a development decision in Q2 of 2019 so these funds will be principally directed towards completing the major steps which will towards that particular milestone. For example, the funding of a Definitive Feasibility Study of the mine development following the recently released very solid results from scoping study. There’ll be further metallurgical test work, we’ll of course be continuing a very extensive resource drilling programme on the Mino de Barroso mining lease. So, the drilling will encompass both further resource drilling to further expand the known resources at Mino de Barroso and also a programme of infill drilling to define measured reserves which will then be fed into the full feasibility study. Finally, the development of an owners’ team to conduct activities leading up to the development decision and then into construction. So, certainly going to be a very busy time and of course, we’ll also be directing funds towards our high grade copper deposits in Oman and the continuation of the new Pre-feasibility study on the world-class Mutamba Heavy Mineral Sands project in Mozambique. So, we’ve got a very full agenda and with these funds, we’ve got a platform for continued growth in our company and continue to grow value, as have so demonstrably been successful in doing over the last 3 or 4 months.